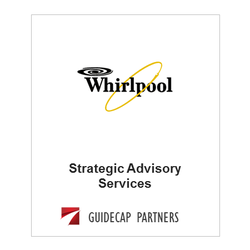 GuideCap provided strategic advisory services to Whirlpool Incorporated. Whirlpool. Whirlpool is the number one ranked US appliance maker, selling its products under the Whirlpool, Kenmore, KitchenAid, Bauknecht, Roper, Inglis, and Speed Queen brands.